This recipe also comes from The Complete Book of Small-Batch Preserving by Ellie Topp and Margaret Howard. We think this book is an excellent resource with a wide assortment of preserving recipes to suit both novice and seasoned canners alike. We’ve shared several of their recipes here and tried many more over the last few years…most are now a part of our yearly canning regimen. These girls have a great gift of combining the correct ingredients to create some of the most delicious and well balanced preserves. So, if you don’t already own a copy of this book we’d highly recommend adding it to your collection. With 9 bushels of tomatoes now neatly transformed into a variety of preserves we’re going to cut to the chase with the next few recipes because we now have about 60lbs of tomatillos waiting for our undivided attention. In a large stainless steel saucepan combine tomatoes, onion, garlic, peppers, vinegar, coriander, orange and lime juice, sugar, and salt. Bring to a boil over high heat, reduce heat and boil gently, uncovered for 30 minutes or until mixture is thickened, stirring occasionally. Stir in tomato paste and cook for 2 minutes. 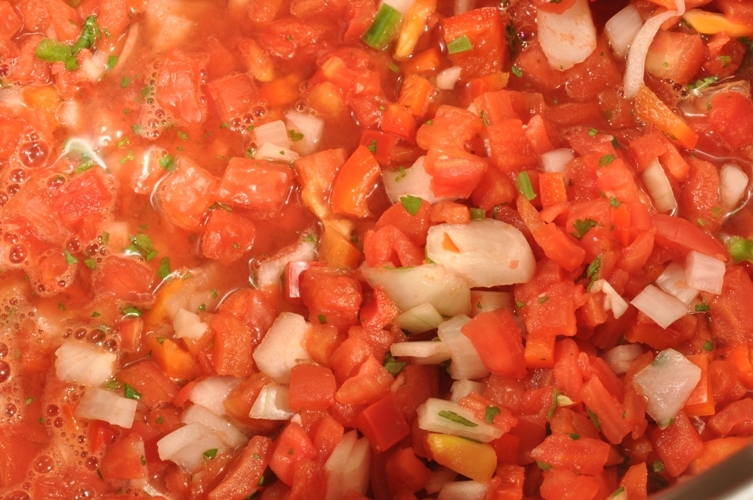 Remove from heat and ladle hot salsa into hot sterilized jars leaving 1/2″ headspace. Remove air bubbles, wipe rims, place lids and screw bands on adjusting so that they are just finger-tip tight. Process in a hot water bath for 20 minutes. 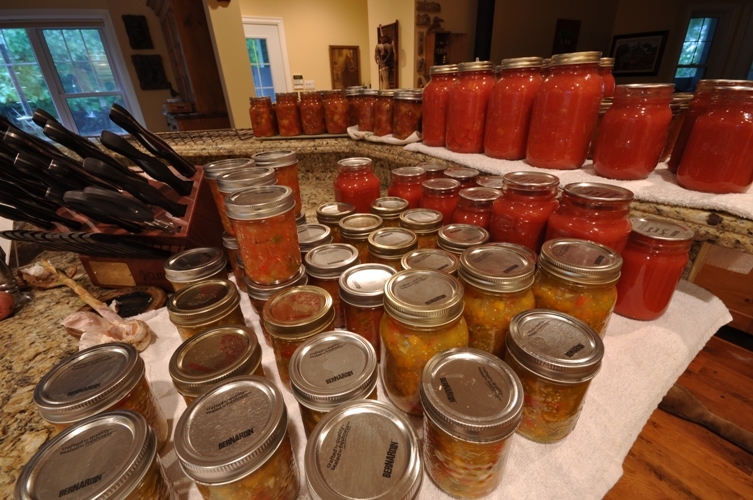 When the time is up turn off the heat and remove lid, wait 5 minutes before removing the jars. Check seals, label, and store.